"Americans eat between 14 and 15 pounds of food additives every year." "A compilation of observations among physicians, researchers and laypeople who have demonstrated the link between aspartame consumption and the cascade of adverse neurodevelopmental and physiological complications occurring epidemically among children and; foundational science and observations regarding the link of adverse neurodevelopmental and physical complications of monosodium glutamate consumption. 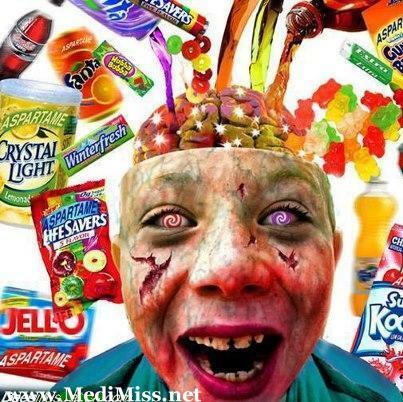 This report has been prepared especially for parents, physicians, teachers, school administrators and lawmakers so they may understand the short and long-term dangers of aspartame consumption and the importance of removing from school cafeterias, vending machines and student stores food products that contain aspartame." Early malnutrition may lead to low IQ and later antisocial behavior, says a new USC study. The work is an important first step in identifying early risk factors for adult violence and developing programs to prevent it. • anemia, which reflects iron deficiency. Compared to those in the control group – the group that did not suffer from nutritional deficiencies – malnourished children showed a 41 percent increase in aggression at age 8, a 10 percent increase in aggression and delinquency at age 11 and a 51 percent increase in violent and antisocial behavior at age 17.